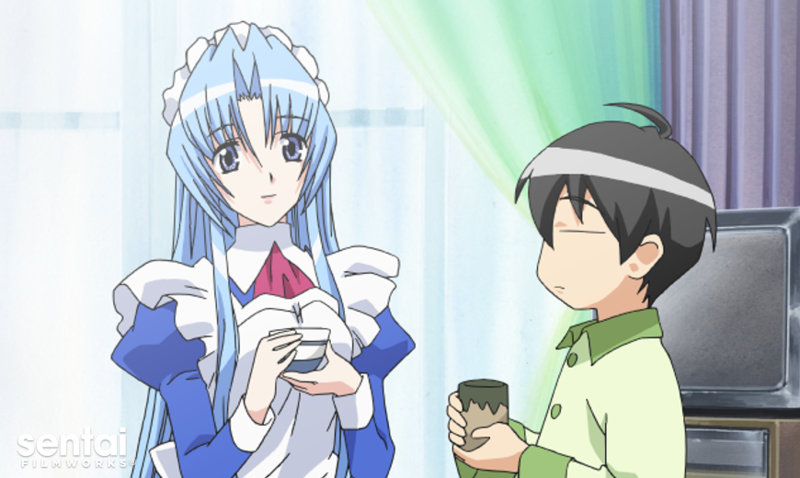 HOUSTON, MAY 11, 2016 – Sentai Filmworks is proud to announce its acquisition of Hanaukyou Maid Team: La Verite. A reimagining of 2001’s Hanakyou Maid Team, this anime delights in the way every moe title should. After losing his mother, 15-year-old Taro Hanaukyou moves to live with his grandfather in Tokyo. Despite their blood relation, Taro never knew that his grandfather was extremely wealthy, owning a mansion and maintaining a large fortune. When his grandfather leaves Taro both his riches and the manor, Taro also inherits the services of the home’s network of dedicated maids. The series was directed by Takuya Nonaka (Fate/Zero, Ah! My Goddess). Jukki Hanada, Takashi Aoshima, and Hideaki Koyasu shared scriptwriting duties, with Jukki (Beyond the Boundary, K-On!, Steins;Gate) also handling series composition. Sound direction was overseen by Hiromi Kikuta, with art direction by Takashi Aoi. Animation production was handled by Daume (Strawberry Marshmallow, DearS, Indian Summer, Shiki). Hanaukyou Maid Team: La Verite will soon be available through select digital outlets, with a home video release to follow.